When the day is done and the last person locks the door on a business premises, owners understandably want to know that their building will be safe. One way to ensure that this happens is to install CCTV. However while it’s pretty obvious that installing a CCTV system is a security measure that keeps a watch over your premises when you aren’t there, a good CCTV system can bring a whole lot more to the table. With this in mind, let’s take a closer look at 7 ways this can happen. Insurance is a necessary part of running any business, yet by installing a good quality CCTV you may find your insurance premium has drastically reduced. In fact, some companies won’t insure businesses that don’t have good security measures, so if you want to pay less, install CCTV. If you stop and think about if for a second, even if a security camera isn’t switched on it’s actively working. Why? Because it acts as a deterrent. Most thefts that occur to businesses are opportunist. So when the opportunity arises they will steal. Therefore if CCTV cameras are in place, the act of them simply being there can be enough to deter anyone from stealing from you. While CCTV is usually thought about in the context of catching offenders in the act, it can also aid safety. If you think about it, closed circuit TV is an ever-present pair of eyes that watches over your premises and the surroundings. As such it can also be used to spot potential hazards which may cause danger and harm to staff. Problems such as fire hazards, areas of over stacking, and major floor spillages can all be picked up. CCTV can also send out a good image to potential staff and clients that you care about your business and your brand and that you are professional in your approach. While it lets you keep tabs on your staff, CCTV can also protect them against things like false accusations, workplace bullying, or sexual harassment. In many ways, potential employees may prefer to work in an environment where CCTV is present as it’s part of our culture anyway. 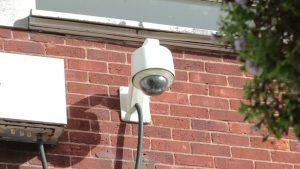 CCTV is an ever-present witness and as a result it’s relied on heavily by authorities such as the police to help with criminal activity that isn’t necessarily connected with your premises. It may be used to help trace the whereabouts or last known movements of a missing person or criminal and in this respect is a really helpful tool. Nowadays CCTV usage in court is a common thing. It’s perfect for identifying perpetrators caught in the act and is used by lawyers to gather evidence or conversely it might even prove the innocence of a person wrongly on trial. As you can see CCTV cameras offer a lot more than simply protection, so if you are considering beefing up your business security, then give us a call. As well as providing experienced security personnel for businesses, individuals and events we also design and fit security systems including CCTV. To find out more, call us on 1300 020 406 and talk to the experts.